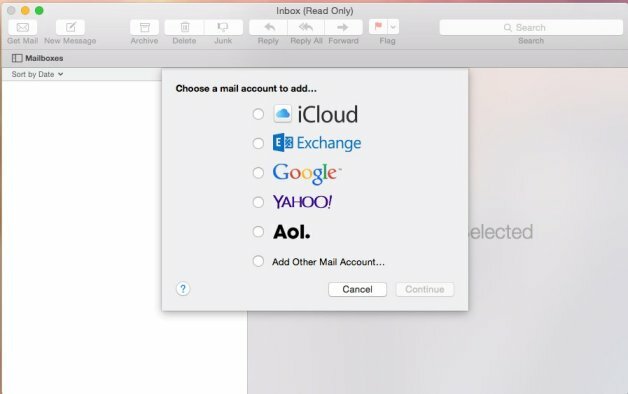 Enter your name and the email address/password provided by SiteWizard, then click create. 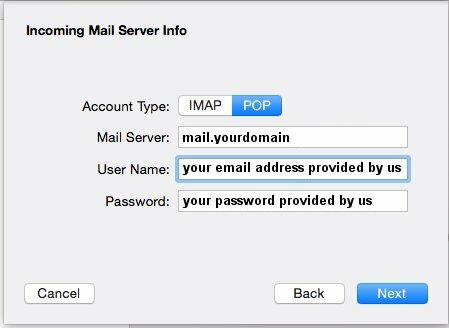 Select Account Type as "POP", enter mail.yourdomainname in the Mail Server box. Enter your username and password for this account, as provided by SiteWizard, then click next. 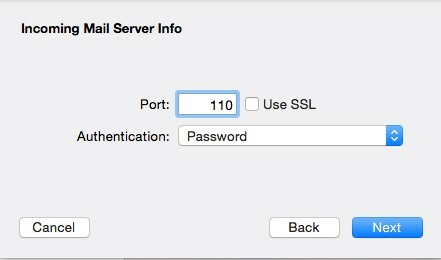 Set the Port to 110, ensure the "Use SSL" is not ticked and set Authentication to Password, then click Next. 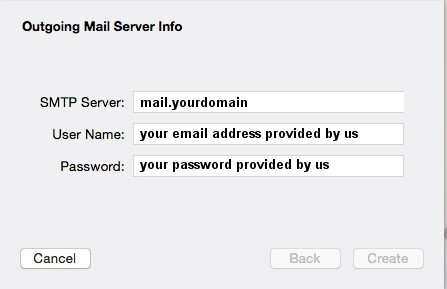 Enter mail.yourdomainname in the SMTP Server box. 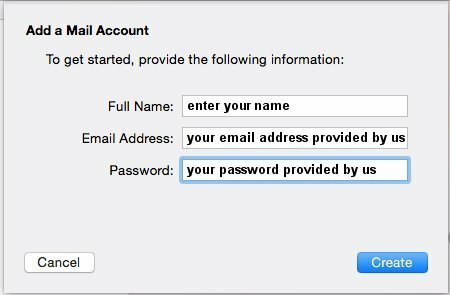 Enter your username and password for this account, as provided by SiteWizard, then click Create. Set the Port to 25 or 587, ensure the "Use SSL" is not ticked and set Authentication to Password, then click Create. 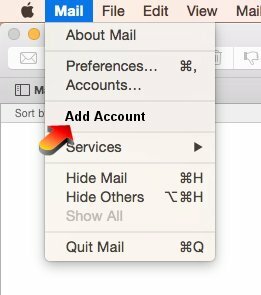 If you get an error indicating that the identity of the sever cannot be verified, please click connect.